BabyCoupons.Com is starting to come together, so you can now expect to find new printable baby coupons every day. Also launching this week... BabyCoupons.Com! After a bit of a break, BabyCoupons.Com returns to the web, with a focus entirely on Baby Coupons like diapers, baby food, formula, lotions, baby shampoo, blankets, cribs / baby furniture, changing stations. As the old cliche says... "If you are expecting, we're expecting you." It's been over 10 years since I created my Blogger account. It was never anything more than an experiment in blogging, but as it turns out, Google has been very aggressive in telling the world that Blogger is here to stay and that it's now fully integrated with Google+ and Google Gmail accounts. The nice thing about all this integration is that now anyone with a Google account can post on Blogger, Google+, YouTube, etc., which means that you won't need to register to post on our blogs. 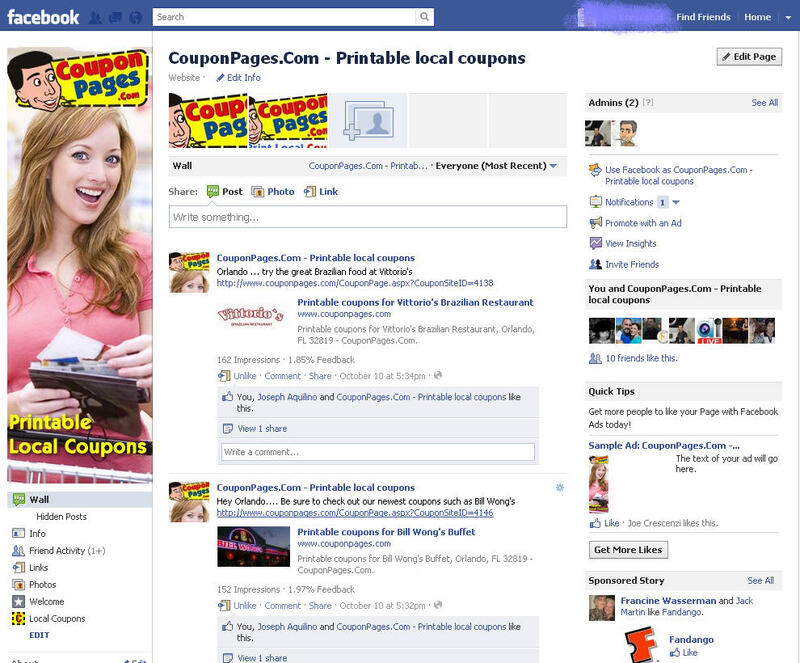 This is my first post in many years, so there's not much to say, except, "Welcome"
CouponPages.Com finally has a Facebook Page!